Here's an interesting story I posted earlier today on the Future Shop Tech Blog. An Ontario teen by the name of Jordan Verner beat The Legend of Zelda: Ocarina of Time. Sure a lot of people have accomplished the same, but what's amazing is that Verner's blind. "The 19-year-old from Thunder Bay, Ontario, was born with a condition known as optic nerve hypoplasia -- the underdevelopment of the optic nerve -- leaving him blind since birth. 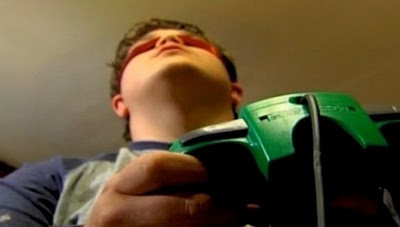 Jordan Verner was first introduced to gaming as a kid and ever since he beat his first video game -- N64's Bass Hunter -- he's been in love with gaming. Looking to take on a more complex undertaking, Verner decided to take on The Legend of Zelda using a combination of audio cues and step memorization." To read the rest of my article on this incredible story, visit this post on the Future Shop Tech Blog.